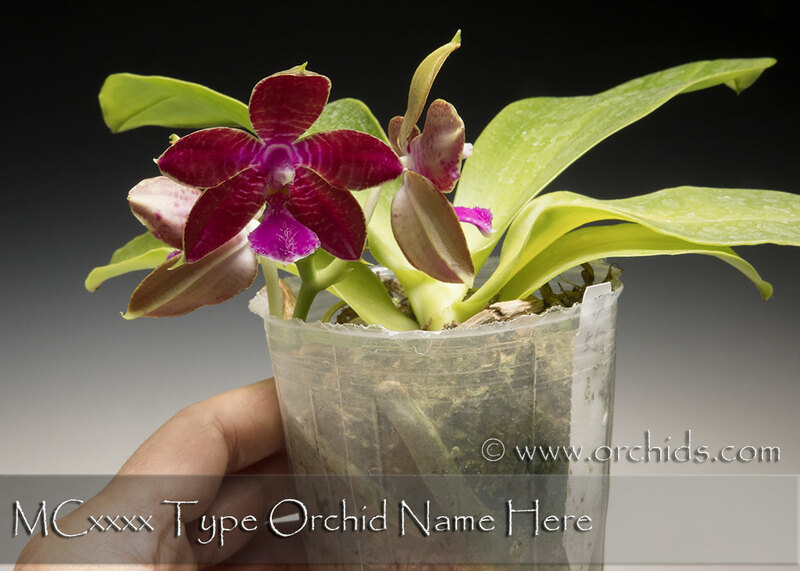 An exciting new seedling population mating the proven breeder, Phal. 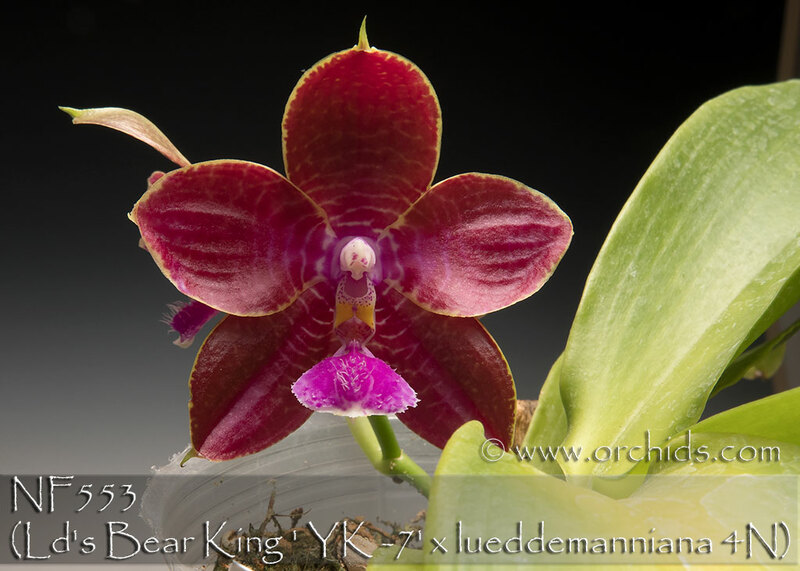 Ld’s Bear King, with the tetraploid and heavily barred/suffused Phal. 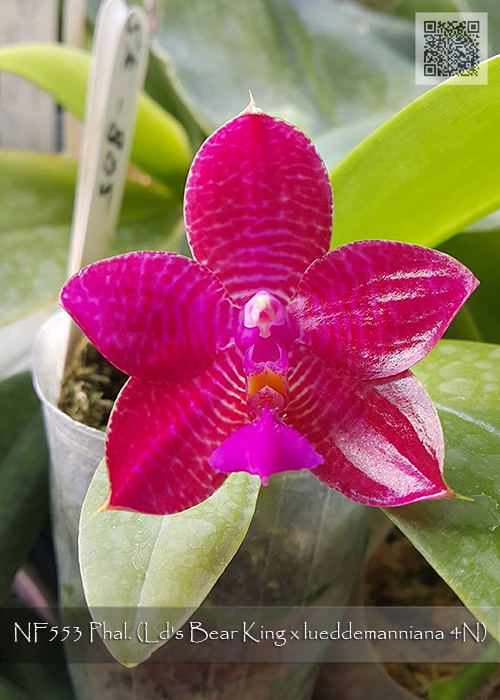 lueddemanniana ! Expect solid red or heavily barred reds to result as a result of the heavy infusion from both parents, producing waxy novelty size fragrant flowers. Due to the spiking and flowering habit of both parents, if the spikes remain green following flowering, don’t remove them. They can continue to add additional buds while still creating new flower spikes. Highly Recommended ! Note: Only 12 available . Wonderful Fragrance .